Boven is not the typical library. 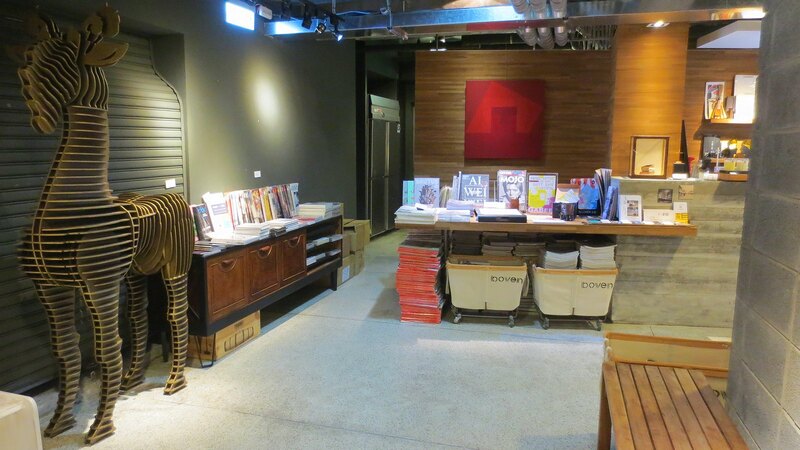 They call themselves “The world’s first magazine library”, and they include a collection between 15.000 and 20.000 copies of magazines from not only Taiwan or Japan, but also United States, Europe, etc. 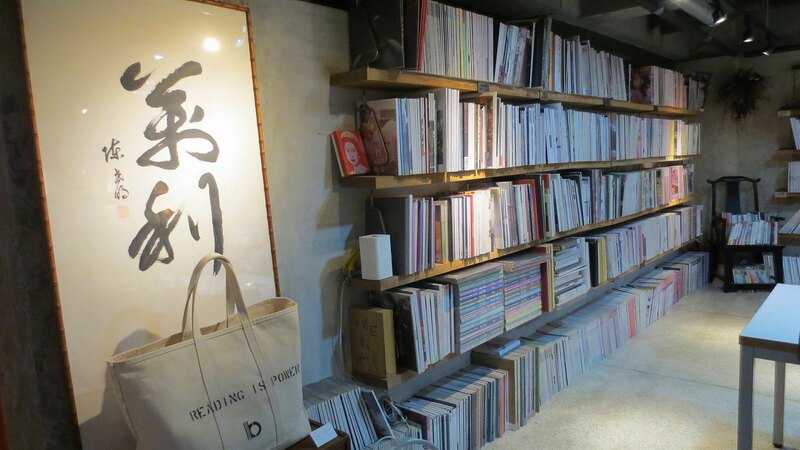 A curated selection of magazines covering topics like design, art, photography, fashion and much more! 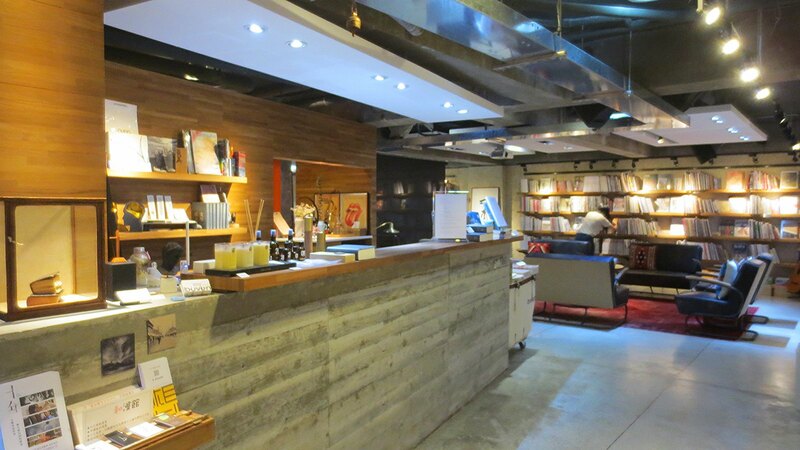 Placed in a quiet alley around the Zhongxiao Dunhua area, the inside is even more quiet as it is located in a B1. Just look for this sign on the street level and then go down the stairs. At the door, you will see the enrollment instructions. 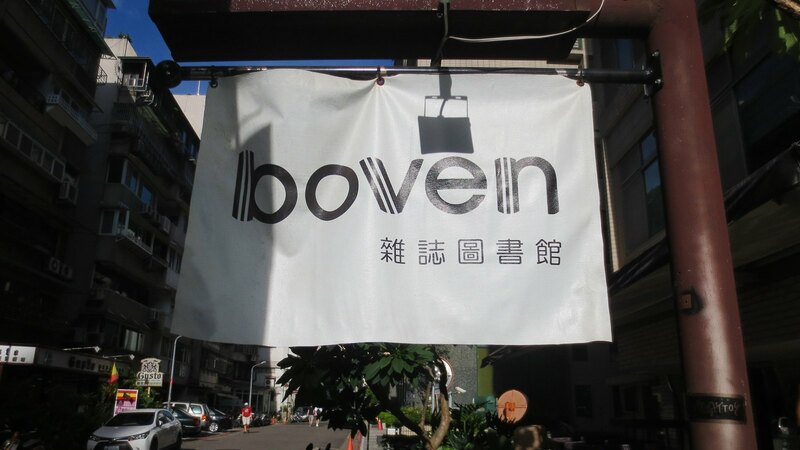 If you want to be a member, there is an anual fee of 1.000 TWD that offers an unlimited access to Boven. If you are not sure about getting a membership, don’t worry. There is a single entrance fee for non members of 300 TWD/day, so you can try it and see how it goes. Once inside, you will be asked to remove your shoes and use the courtesy sleepers. Remember, be silent and respectful. 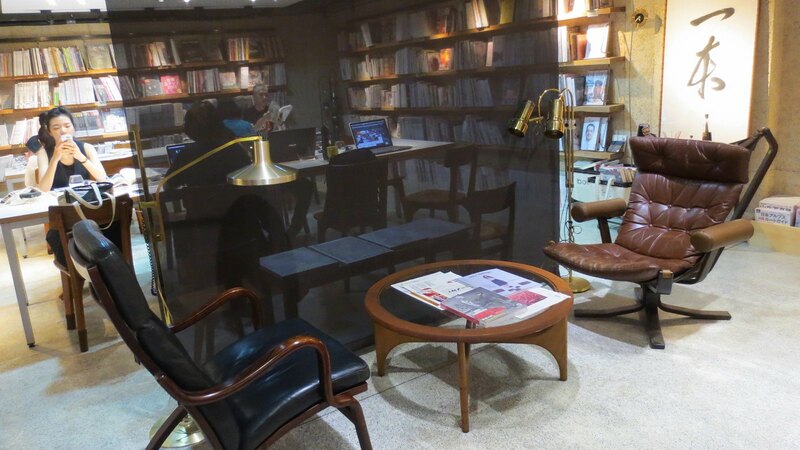 Everybody tries to maintain a relaxing atmosphere without disturbing each others reading. 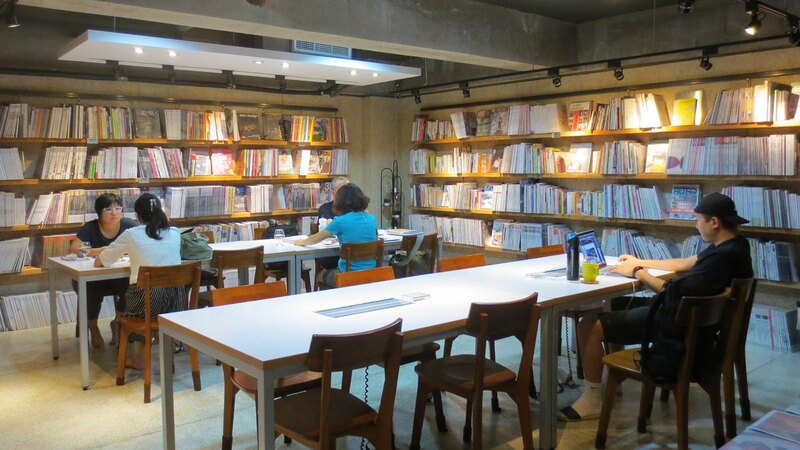 As they say, “Reading is power” and here is a great place to do that! 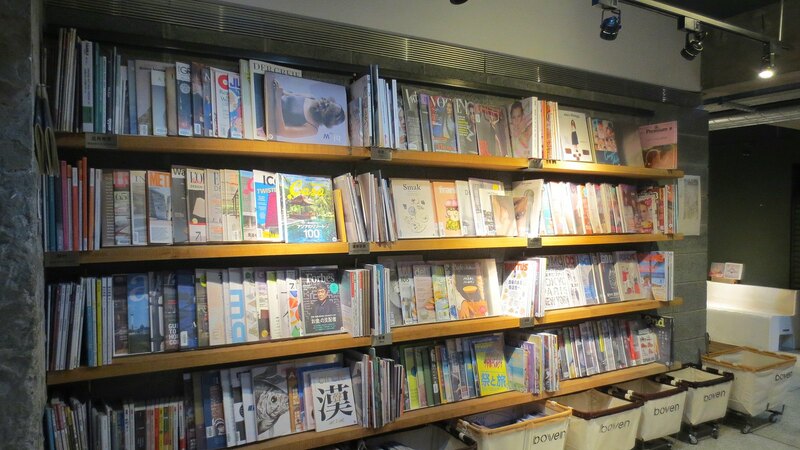 The magazines are organized in the shelves by topic, so just take a look around and pick up your favorites. 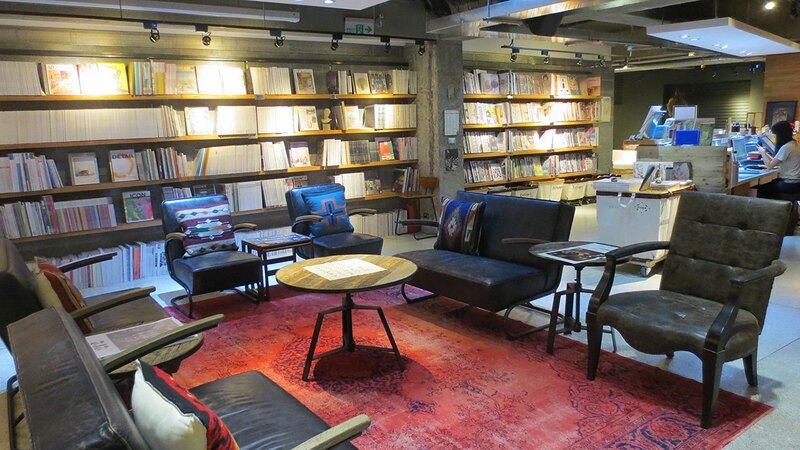 You can seat in one of the comfortable sofas and armchairs, as you were in your living room. Or in one of the collective tables, where you can plug your laptop if you need. At the reception, they offer a brief selection of beverages in case you want a drink to accompany your reading. 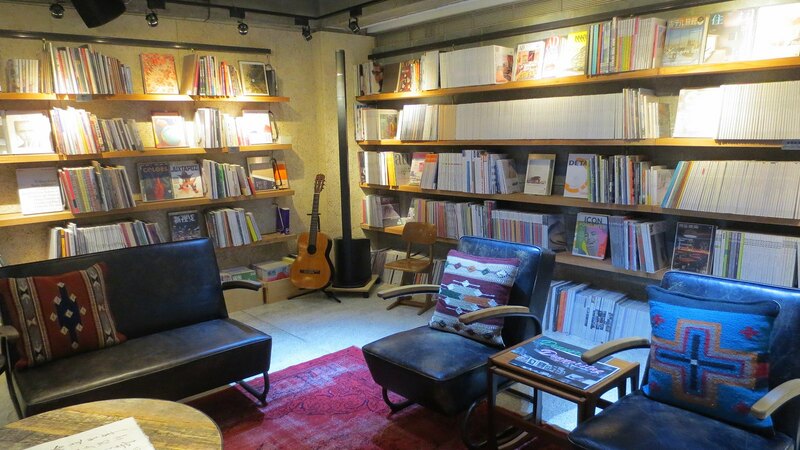 Everything you need to relax in a nice environment and enjoy a lovely time reading a magazine! For more information, visit their Facebook’s page. 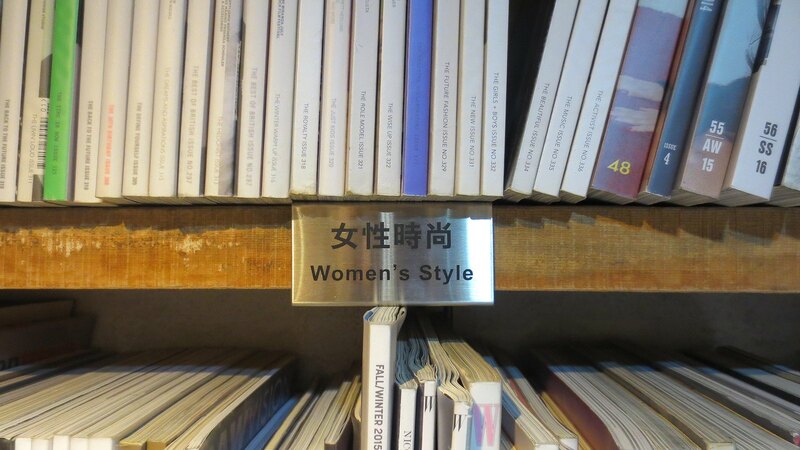 What a cool library! It has such a nice homey feel. This is the type of place I could just hang out in for hours.